The polo summer is hot: Currently the Jaeger-LeCoultre Gold Cup is played for at Cowdray Park Polo Club, this weekend the International Polo Cup started in Saint-Tropez, the 45th INID International Polo Tournament is just around the corner and Berlin prepares for the FIP European Championship in August/September. 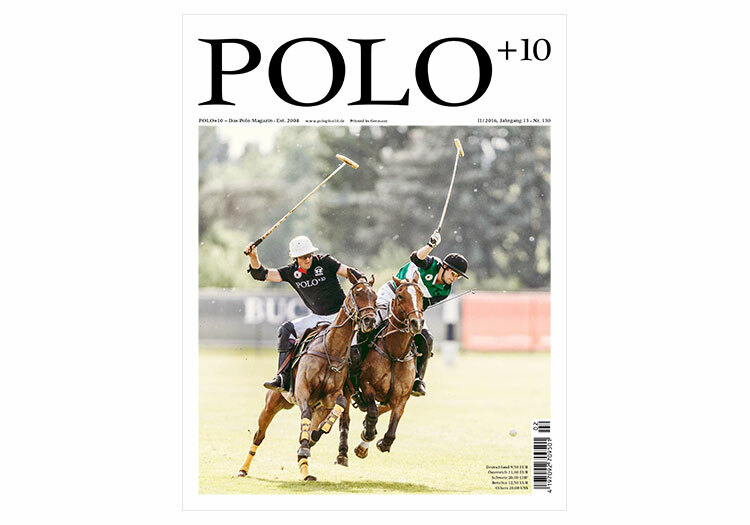 Plenty of polo is not only to be found on the playing fields, but also in the latest issue of POLO+10. For the new magazine we once again travelled around the globe, met amazing polo people, made new friends and got to know fantastic locations. In Ibiza and Morocco we have created unforgettable polo experiences with our POLO+10 World Tour, we met the US polo player and 8-goaler Nic Roldan for an interview, present the terrific Beach Polo Cup Dubai presented by Cadillac, report from the Cartier Queen’s Cup and accompanied the brilliant premiere of the Beach Polo Cup in Rovinj. Furthermore: All news and information regarding the German Polo Tour, the tournaments in Sylt, Basthorst, Warnemünde, the new polo club of the Bosch family, Polo Park Zürich, the best hotels in the world, green gold and the ultimate island of one’s dreams. This is only a small excerpt of the new magazine, many more exciting and interesting polo stories are awaiting you! Have fun and get inspiration from this new edition of POLO+10 and a fantastic polo summer. Polo Youth Camp: Under a glorious blue sky the tenth anniversary of the FIP Youth Camp was successfully celebrated at Hamburger Polo Club – bigger than ever before. Beach Polo Rovinj: Polo has established a foothold for itself on the wonderful Adriatic coast of Istria this year. A sensational première that has us looking forward to next year already. German Polo Tour: Germany’s leading polo league will be even more competitive this year. Berenberg German Polo Masters Sylt: In the first year it took over title sponsorship of the legendary German Polo Masters on Sylt, the private bank Berenberg not only hosted an amazing polo event, but also enjoyed a brilliant victory in the final. European Championship: From 26 August to 4 September 2016, nine European nations will take part in the XI European Championship of the Federation of International Polo (FIP). The finals will be played at the historical Maifeld in Berlin. POLO+10 World Tour: In collaboration with the most prestigious polo clubs around the world, POLO+10 is organising an exclusive tournament series around the globe. The POLO+10 World Tour offers a unique combination of playing and coaching, party atmosphere and holiday feeling. Polo at its best and 100% fun for the players is guaranteed. POLO+10 will take care of the entire organisation, all services as well as the polo ponies and grooms are included. Nic Roldan: MWith an 8-goal handicap rating, Nic Roldan currently is the leading American polo player. 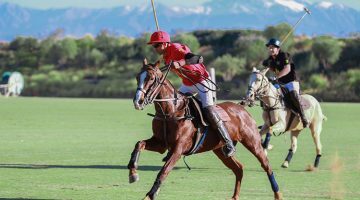 Next to being Captain of the U.S. Polo Team and successfully playing polo tournaments all over the world, the 33-year-old is actively engaged in numerous charity projects. The Leading Hotels of the World: Since 1928 the luxury hotel collection “The Leading Hotels of the World” (LHW) unites the best of the best. The brand stands for highest standards, best quality and unique locations and is also present in the sport of polo. vorheriger Artikel International team line-ups for III Copa Mixta!